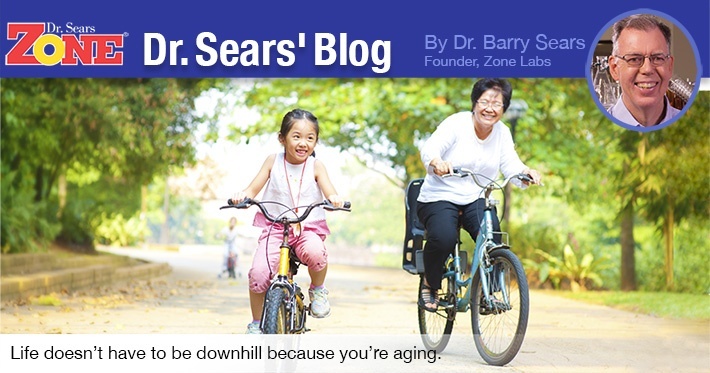 Successful aging is not truly based on your lifespan, but on your healthspan. Healthspan is measured by an individual’s number of years of life without disability, i.e., their quality of life. Aging is inevitable and eventually wears the body out. This is why you don’t see too many 30-year old cars in a parking lot. However, the natural aging process can be rapidly accelerated by the development of chronic disease. The more chronic diseases you have by age 65, the faster your healthspan is decreased and your overall life expectancy reduced. Chronic disease is caused by increased inflammation, much of which is diet-induced. This means the development of chronic disease is not inevitable. You have the power to increase or decrease your healthspan by what you consume in the kitchen. Rather than expending massive amounts of taxpayer dollars into trying for biotechnology “moonshots” (“long shots” might be a better term) to reverse chronic diseases, it is more fruitful to investigate populations with successful aging. A recent study of a large population of Japanese centenarians (a person 100 years or older) indicated that the reduction of inflammation correlated best for increased longevity, while at the same time improving physical and cognitive health. That’s a pretty good definition of successful aging. This suggests that an anti-inflammatory diet should be the “wonder drug” we should be looking for. Does the World have Enough EPA and DHA to Assure Survival? 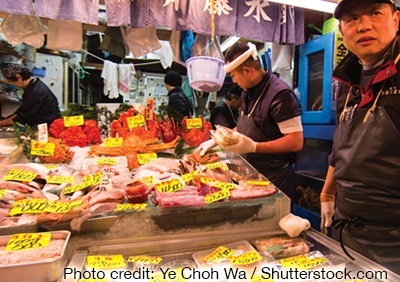 The Japanese are the largest consumers of fish in the world. In particular, the long-chain omega-3 fatty acids (EPA and DHA) they consume are not only anti-inflammatory compounds, but also pro-resolution compounds. It is the unique ability of both EPA and DHA to reduce the start of inflammation and bring it back to equilibrium that makes them distinct nutrients. Thus, anti-inflammation nutrition using the same levels of EPA and DHA as consumed by the Japanese may be the solution to an increased healthspan. So is there enough EPA and DHA to go around? Actually, no. A recent publication indicated that even if the total marine stocks of fish oil were used for human consumption instead of being primarily used to raise farmed salmon, there would only be enough for 6% of the world’s population to reach the same levels as found in the Japanese population. This does not bode well for the other 94% of the world’s population or for future global health care expenses. Better stock up. Successful aging starts with the anti-inflammatory Zone Diet as a foundation. The Zone Diet will help you dramatically reduce your risk of chronic disease, and improve your mental and physical performance while living a longer more fulfilling life. Adding high-dose fish oil rich in EPA and DHA, like OmegaRx, is another key component of such an anti-inflammatory nutrition program. Consumption of omega-3 fatty acids helps with longevity, supporting heart health, brain function, cellular rejuvenation, athletic performance and recovery, and vision. The technology for increasing your healthspan is here today. It starts in your kitchen by eating right, and is enhanced by supplementing essential omega-3 fatty acids. Longer healthspan is within your reach. You just have to grab it.